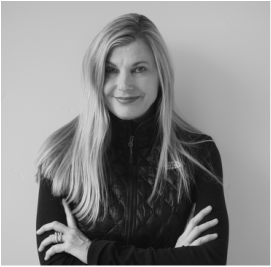 Interior Designer Roxanne Hepworth, Principal of HPH Design and Roxbury Studios, has 20 + years experience with both commercial and residential design firms. Roxanne brings a multitude of experience from working with a diverse clientele in metropolitan areas – New York City, San Francisco, Phoenix, Baltimore, Los Angeles. For the past 6 years her focus has been in Park City, Utah and it’s surrounding areas. Roxanne is an excellent listener as well as communicator, which forges a solid working relationship between she and her client, the architect, developer and builder. The homeowner is an integral part of their team, bringing a valued and highly relevant perspective to the collaborative process. To ensure that the end result is what the client has been envisioning, designs are continually reviewed throughout the process - from the conceptual stages through construction documents - making enhancements to all phases, while staying on budget and meeting timelines. Roxbury Studios treats every project like it’s the one and only. Their projects include Ski Magazine Dream Home, resort hotels, restaurants, office buildings, 800 square foot Hawaiian bungalows, 12,000+ square foot mountain homes, and everything in between. Remodels are also part of their “in development” projects. Roxbury Studios believes an existing home can be “reinvented” to take on a whole new life. The philosophy of Roxanne Hepworth is that interior design has the power to make people happy,that light, color and texture have the power to revive one’s senses when one comes home at the end of the day. Ultimately, the best design comes from a synthesis of all the elements, therefore creating a truly timeless, inspiration and life – enhancing environment.